Do You Object to Any of These Phoenix Wright Actors? Next February, Japanese movie theaters are going to lawyer up when the Phoenix Wright movie puts its legal smack down on celluloid. Directed by famed Japanese director Takashi Miike, it could be great. 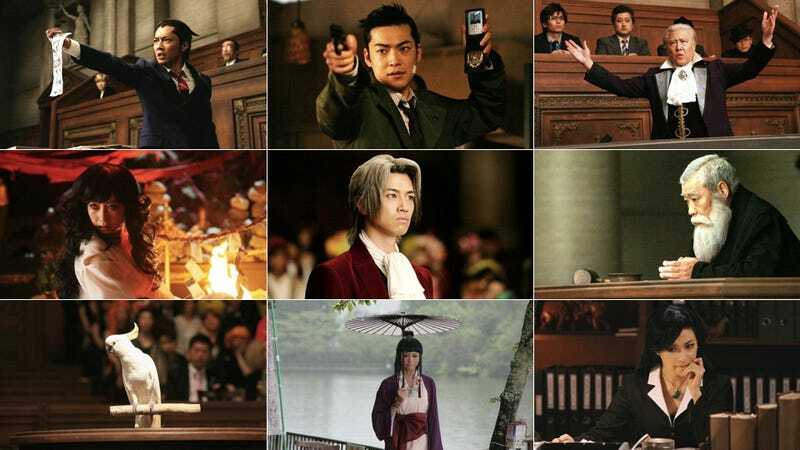 Last October, Kotaku posted the first image of actor Hiroki Narimiya as Phoenix Wright. Today, here are photos of the entire cast of actors in character. Thoughts? Phoenix Wright was first released as a Game Boy Advance game in 2001 and has gone on to span many successful sequels and spin-offs.